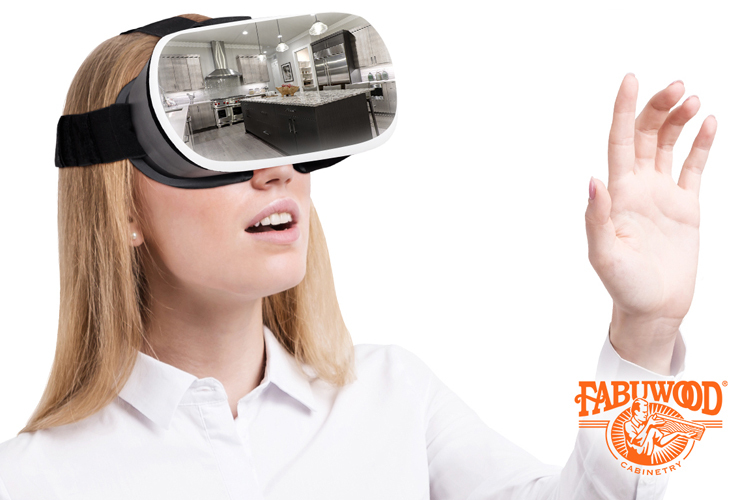 Introducing our virtual kitchen designer! Our custom tool to give you a picture-perfect view of your new kitchen. Starting today, you can use our kitchen visualizer to help bring your design ideas to life. The Fabuwood visualizer allows you to reinvent your space by testing out a variety of different options. Now, you will be able to get a clearer idea of how your chosen elements will look all together. This new feature lets you choose between ten different layouts to find something that closely resembles your space. You can then select from a wide variety of styles and colors in cabinetry, backsplashes, countertops, appliances and even flooring. Create countless variations by mixing and matching colors, finishes and materials. Cabinetry: The first option that you can change are the cabinets. Since cabinets take up the most space in your kitchen, they will probably be the first thing that you notice when you walk into the room. Test our different cabinetry options to make you more confident about your choice. Swap around colors, materials and style until you find your perfect match! Our tip? Keep the cabinet style consistent with the rest of the elements in your kitchen. When it comes to color, contrasting dark and light is a current trend that will enrich your space. Countertops: You will find formica, granite, and marble in a wide range of colors and designs. When selecting a countertop, think about what color surface you might like to work on when dealing with food. The visualizer will definitely help you get a sense of whether or not the pattern is too busy for the rest of your selected elements. Backsplash: You can play around with different options and colors in formica, granite, marble and mosaic. The visualizer will help you see whether or not the backsplash compliments the other components you’ve chosen. Appliances: Choosing a color for your kitchen appliances is a big decision, and you want to get it right because you’re going to be living with it for quite some time. Black appliances give a kitchen a very sleek, upscale look. White appliances pair well with white cabinets to create a unified look. Stainless steel appliances instantly make a kitchen more modern. Whatever you decide, try to stick with one color for all major appliances to create a fresh, seamless look. Flooring: The last option to test out is the floor. This is a critical element as it serves to tie all of the kitchen segments together. There are a variety of hardwood and tile options from which you can play around with. You may even find that you like an option that you would have overlooked without the help of our Fabuwood visualizer. You don’t need to be an architect to start envisioning your new kitchen. In a few easy steps, you can have your very own kitchen design plan in surprising detail. Never settle for a limited number of options when you can access the large variety of attractive colors/patterns we offer in our portfolio. Utilize your creativity to design your ideal kitchen. The best part about the visualizer is that you can keep modifying colors and styles until you have achieved your optimal combination. Visit our website to plan and visualize your new kitchen design. With access to so many flexible products and features, you will create stunning renderings that will look great on your screen and even better in your home. Once you have some clearer ideas in mind, we can help you schedule a consultation with an authorized Fabuwood dealer in your area. You’re the designer – get started today, and let us know what you come up with!